Vintage is great. We all dig the style. However, looking back on the 70’s, lets be real, there was a lot to be desired. Forget the smartphone… the personal computer hadn’t even been invented yet! It might as well have been the Dark Ages. But, as was mentioned, they did have style. That is why Bell came up with the original Custom 500. With the new Bell Custom 500 Carbon Helmet, the past has been connected with todays technology in order to make the best of both worlds come to life on a whole new level. Full carbon construction is a rarity. It’s tough to do and often times what you will see is a carbon layer that has been pressed over the regular shell. That is not going to be the case with the Bell Custom 500 Carbon. This helmet will have a true full-carbon construction that will reduce the weight on an already lightweight frame. Additionally, the interior of the helmet will be upgraded with real suede leather quilting for a premium feel and finish. For those Roland Sands fans out there, of which there should be many, this new lid will also come with a signature RSD graphic. 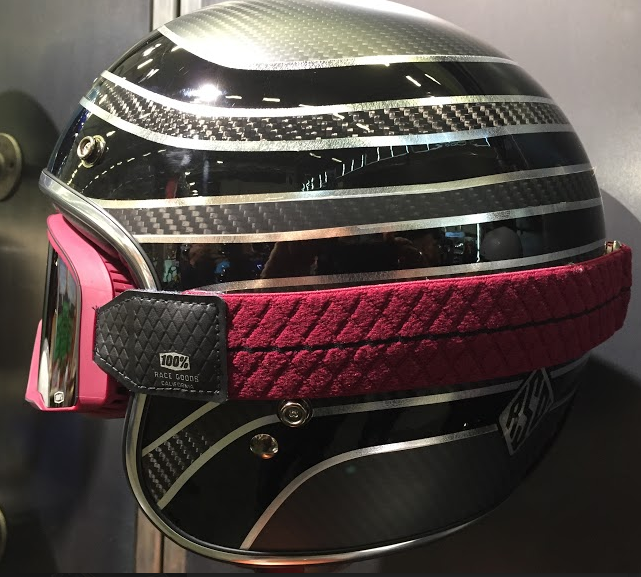 The Bell Custom 500 Carbon RSD Talladega Helmet is built on the same frame as the 500 Carbon, but will just have a little more flair. The RSD graphic combines Silver and Black striping across the Carbon for an even more vintage feel than the original. Classic style is, well… it’s classic. That is why we dig it. These things never go out of style on the riders who are cool enough to wear them the right way. However, we do not need to revert to decades past technical specs to enjoy them. 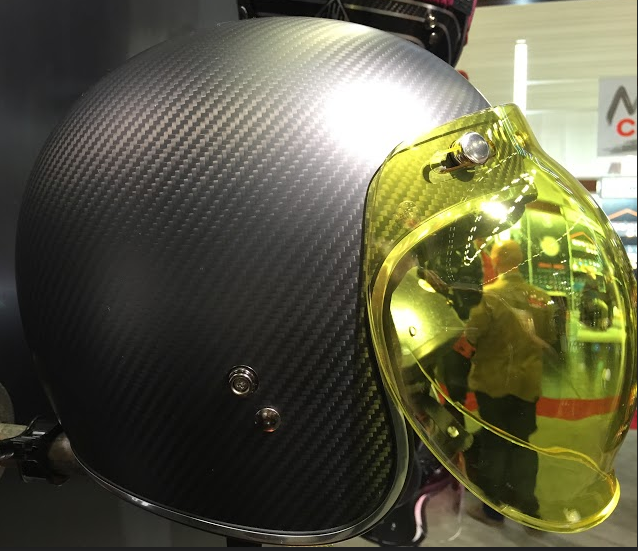 With the new line of Custom 500 Carbon helmets Bell has mixed the old with the new for a few really great options that motorcyclists of all ilks will be able to appreciate.